When it comes to online shopping holidays, Black Friday and Amazon Prime have historically run the show — but there's a new holiday in town: Way Day — fun to say, even more fun to shop. But if you're not exactly sure what it is, consider this your guide. But if you're overwhelmed, Hunker will make it easy: Wayfair is your best bet for the biggest and broadest savings. If you're in the market for a new rug, dresser, or bed frame but don't have specific parameters for the style you want, browse Wayfair's selection. AllModern is your go-to for midcentury modern picks. Snag a sleek leather bar stool or a mahogany credenza that'll instantly tie together your dining room for up to 80 percent off. 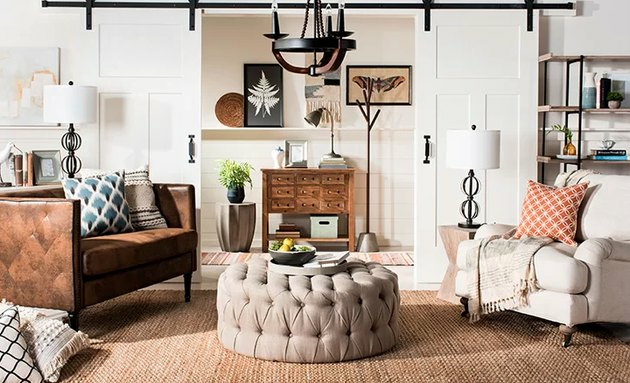 Known for its classic and Southern-inspired decor picks, Birch Lane is your go-to for any and all decor refreshes. (We suggest hitting up the "Favorite Finds" page for gorgeous picks under $100.) And finally, hit up Joss & Main for mirrors, art, and decorative items, all of which are up to 75 percent off. The catch? It only lasts 36 hours. So take advantage, these are the guaranteed lowest prices of the year.